Redesigns and remodels are fun but time-consuming projects. The want for a new exterior architectural design is always there in the back of your mind, but sometimes the need for one is much bigger. Trying to keep your business alive while creating your own redesign features is an enduring task. Why not let someone else take the reins of your design process — someone you can trust? SpeedPro Imaging Portsmouth is the team that will take your design dreams and turn them into a visual reality. 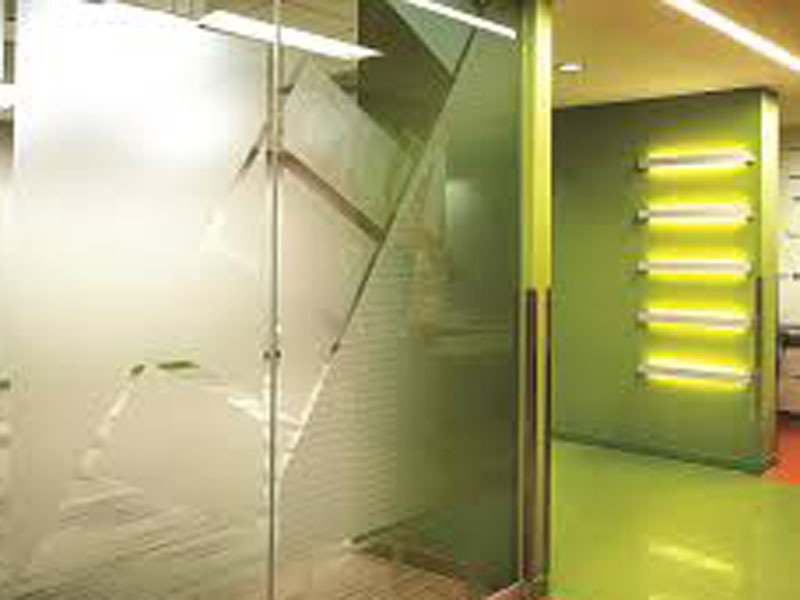 We’ll dedicate our time to create architectural glass signage that meets your business’s needs. Our studio serves all businesses and organizations located around Boston and the coast of New Hampshire. If you’re ready for a redesign, reach out! Our studio can significantly change the appearance of your office building with custom architectural glass signs. Some businesses have ground-level offices on a busy street and dislike the number of people they see walking by, staring inside. Meanwhile, other companies appreciate the curious looks and try to find ways to encourage more of that behavior. Whichever stance is yours, we can create glass windows that do the trick. Any one of these options can help you create the attractive appearance you and your customers most look for. At SpeedPro, we strive to be a company you can trust — so we like to partner with manufacturers you already do trust. Many of our finishes are set in collaboration with big-names — like 3M and Avery — ensuring a solid design and structure every time thanks to innovative technology. SpeedPro Imaging Portsmouth boasts more than 700 different finishes to choose from for your new glass signage. We also complete transformations of already existing architecture. Our team can easily turn metal into mahogany and wood into stone or tint glasswork patterns. We look forward to the consultation process, where we’ll discuss the many different design techniques and finishes we can create to better brand your business. 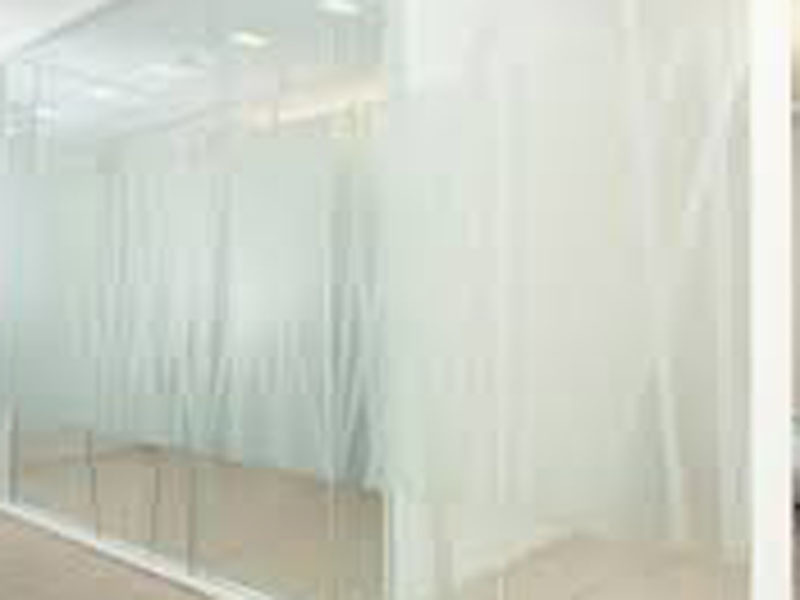 Another special feature we provide is a privacy setting for those ground-level windows. Depending on how many curious onlookers you prefer, we can create glass signage with different levels of gradient opacity, contour cutting and embossing. 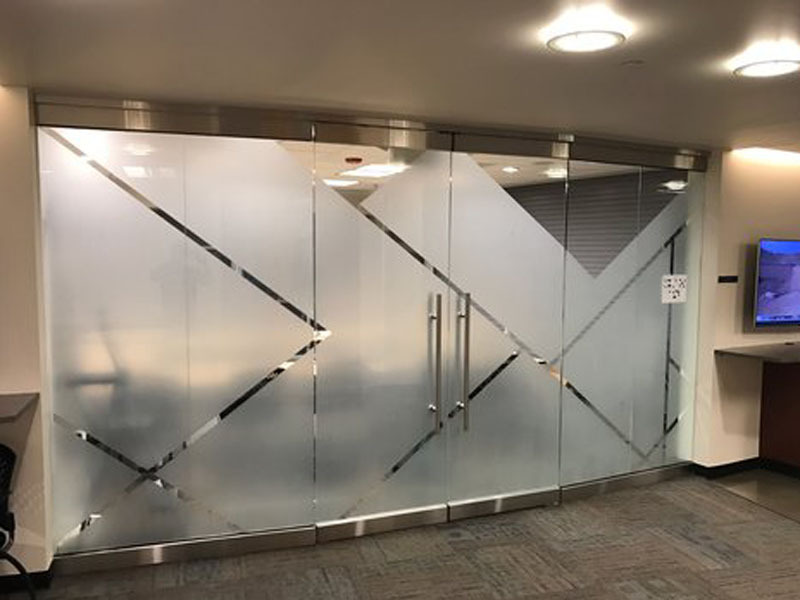 When you reach out to us, we’ll come up with a timeline that suits your needs and strive to get your etched glass signs and other products ready as quickly as possible. If you’re interested in getting new architectural signage and updating etched glass signs, call us today! We’ll reinvent your environment to create a better experience for your employees as well as your customers!